Longer weekday meter hours and free Sunday parking in most Chicago neighborhoods started two weeks early as part of a new deal with the private company that owns the city's meters, the mayor's office announced. Free parking started Sunday in a dozen wards with the remaining neighborhoods switching over in the next 10 days. The change affects 4,400 pay boxes across the city. Not all areas will benefit, though. Sundays in the Business District, north of Roosevelt, east of Halsted and south of North Avenue, will still be paid. City Council passes the mayor's plan to alter the 70-year parking meter deal, despite opposition from some downtown aldermen. Charlie Wojciechowski reports. In addition, longer paid parking hours will begin Monday per the revised deal. Parking costs will be extended to 10 p.m. during the week in blocks where metered parking ends at 9 p.m., and times will be extended from 9 p.m. to midnight in the area bordered by the Chicago River to the South, the lake to the East, Division Street to the North and the Chicago River to the West. Residential streets where meters run until 6 p.m. will not be extended. The City Council approved the plan last week, though some aldermen were skeptical about the revision. Mayor Rahm Emanuel said Wednesday it would have been politically easy to just blame the previous administration for the city's parking meter deal. Instead, he said Wednesday's passage of the revised contract helps ease the pain of the 75-year deal. "Does anyone remember 2008?" Ald. Bob Fioretti (2nd) said. "Did we not learn anything? Here we are now five years later. Where did all that money go? We didn't just lease an asset. We leased our sovereignty. Some lemons shouldn't be made into lemonade, they should be returned to the store for a refund." Some aldermen said the weekday changes put a greater burden on residents. Others are grateful for a "day of rest" on Sundays. "While we can't be rid of the deal like we'd like to be, we can have Sundays to enjoy our families, run errands and go to church in our communities," Ald. Michael Zalewski (23rd) said. "It's a welcome respite." 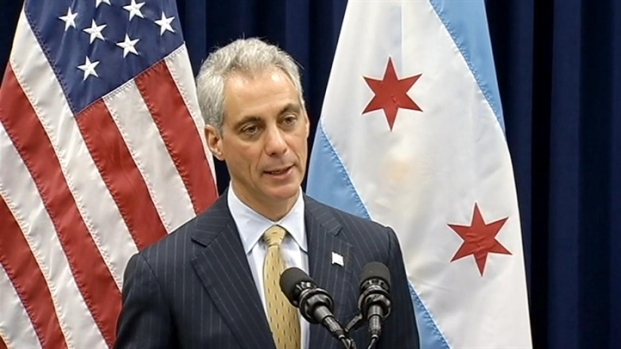 Emanuel said the deal stands up for taxpayers against an ugly deal that was rushed through the council.